The database contains 8639 pictures of 1600 different species. 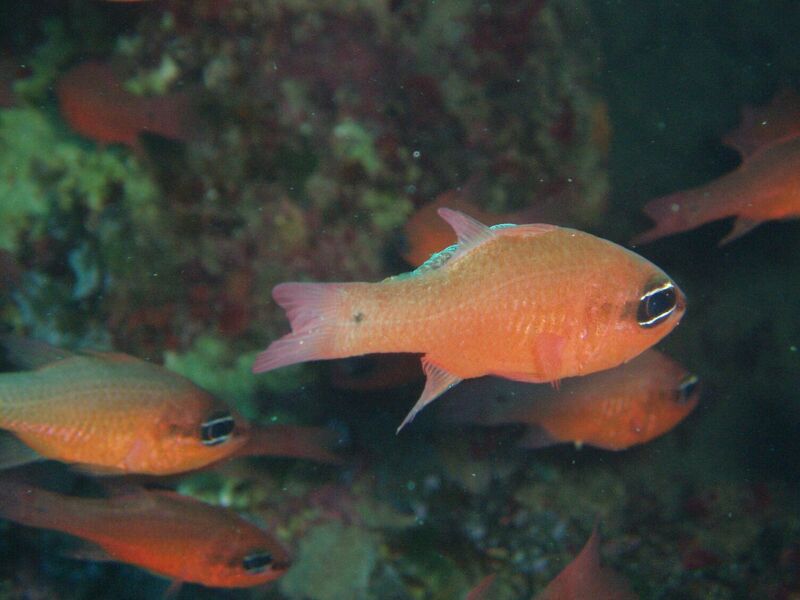 The fish database has been created to allow easy access to underwater photography of reef fish and other underwater life from all around the world, from the Red Sea, the Indian Ocean, the Great Barrier Reef, to the Caribbean and the Pacific Ocean. In the database you will find all kinds of species of reef fish including Angelfish, Butterflyfish, Parrotfish, Wrasse, Groupers, as well as many others. We will also include non-fish subjects with an underwater theme, such as Corals, Nudibranches, Octopus and any other marine life you might come across during a dive or snorkelling. Our easy to use search facilities allow you to browse the photos by region or species. For example, if you're heading off to Tobago on holiday and want to have a look at what you might see whilst diving or snorkelling, then just type "Tobago" into the country field above and hit the search button. If you've seen a spotted Moray Eel and wonder exactly what it's called, try entering "Moray" into the "Family" field and hitting search. For some of the most common families of reef fish, we've included some shortcuts in the menu. Photographs can be rated by registered users. Simply sign up view the pictures and click on the "Rate Photo" link. It's free to register, so join in and help improve this online resource. The section Top Photos displays the photos in the database in order of the average scores each photo has received through user ratings. If you have taken any underwater photos, don't just file them away where they never get seen by anyone. Help us to make this database bigger and better for the benefit of everyone that's interested in underwater life, by joining up and submitting your photos to be included in the Fish Database. It's free to register with us and submit them. When you register, you choose a name to be displayed alongside any of the photos that you submit. The act of submitting photos to us grants us permission to display the photos on this site, but you naturally retain full Copyright should any publishers spot your photographs and be interested in using them. When you are logged in, a "My Pictures" entry becomes available in the menu, which takes you to a complete listing of all of the pictures you submitted, so wherever you go, you can always easily show your friends your picture collection. If you are interested in using any of the photos shown on this site for any commercial purpose, please get in touch with us and we will contact the Copyright owner. Photos are displayed with a unique integer id, which you can use to describe exactly which photos you are interested in. Many of the photos have a much higher resolution than you intially see when searching, as we scale all the pictures to a width of 600 pixels. Click on any picture to see the highest resolution version of the photo. We now include all of the main references that we use to identify fish and other underwater creatures on our new Online Shop. Many of these books are not merely references, but beautiful works of art, containing hundreds of fantastic photographs of our underwater friends. owned by Underwater Photography - Fish Database.